Maryland law provides a completely separate system of compensation for workers injured on the job. All employees injured on the job for any reason are entitled to have their medical bills paid. Additionally, while recovering from your injuries and unable to work, you are entitled to two-thirds of your average weekly pay (with very limited exceptions). Additionally, a worker who is so severely injured that he or she cannot return to their former employment can be awarded - vocational rehabilitation, or retraining in a new job. Workers who suffer a permanent injury are entitled to compensation based on how severe that permanent injury is. The problems in Workers Compensation cases arise when the insurance company does not believe that the injured is as injured as they claim to be — or they believe the worker can continue to work despite their injuries. Further disputes arise as to the nature and the extent of any permanent impairment. The Workers Compensation system uses a tiered grid to determine the amount of compensation that is due. 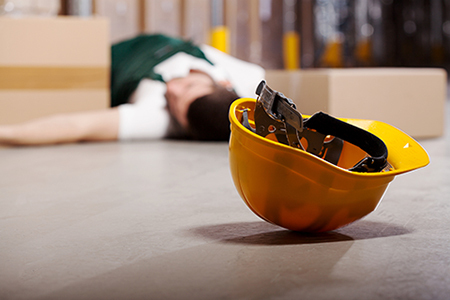 Sometimes, even a very minor difference in the amount of the permanent impairment can make vast differences in the recovery of the injured worker. Having the assistance of an experienced attorney can be the difference between getting what you are due, or getting less than half of what you are owed. Workers' Compensation cases that involve injury due to motor vehicle accidents require a broader skill set. The complex interaction between Workers Compensation, liability insurance, and uninsured motorist insurance must be navigated by an attorney with experience, skill, and creativity. Your compensation can be increased 5 to 10 times when handled correctly. The method and manner that the different insurance coverages interact - and the resulting payment of your medical bills, physical therapy, and wages during unemployment — can dramatically affect your ability to recovery. To take advantage of these skills to your benefit, contact the law offices of Erik D. Frye, PA.